Everywhere I looked it was green! Honduras. This entry was posted in Central America, Travel, Travel Photos and tagged Central American, Green, Honduras, Nature, Photography, Pico Bonito National Park, rainforest, Travel Blog, Travel Journal, Travel Photo. Bookmark the permalink. I love it! And I think I would love your mountains. and it could be a mossy glade in deepest Devon! I’ll have to check out Devon! It is amazing how much it spreads over everything. I love nature and its power. Thanks Wolke! I felt like I was in another world! Nice and lush! Moss seems to pop up anywhere! It really did. I loved it! But so many beautiful shades of green…gorgeous. 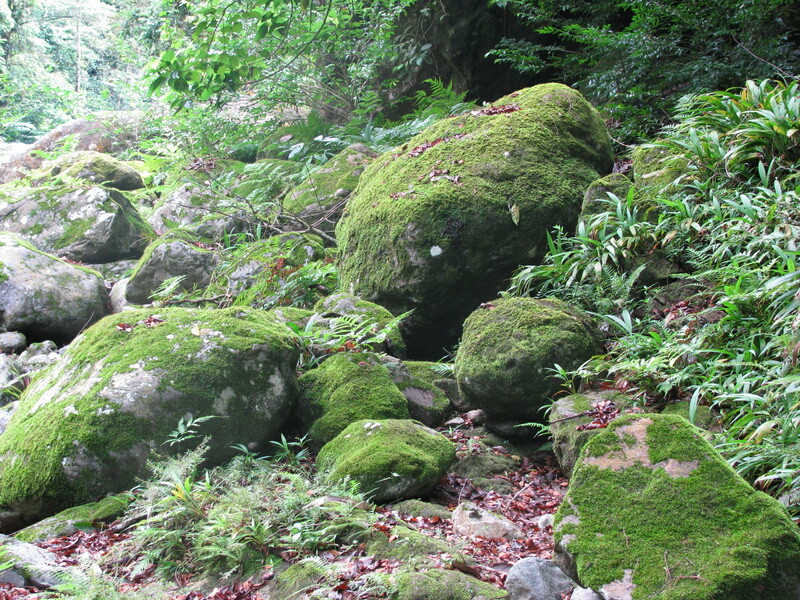 oh that looks so magical and enchanting with all the green, and with those huge rocks covered with green, too. The rainforest in Honduras is a magical place. It was one of my first big trips outside of the US and I loved every second of it. Your work elates me! Great job! Really…that is a comparison I didn’t think of. Pretty neat! You would love it Jo!